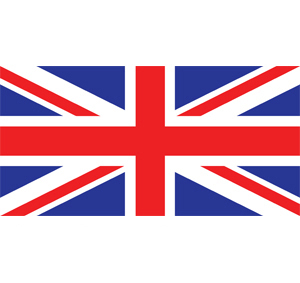 Keep in touch with family and friends with this full colour, high quality Military post card. Printed onto 350gsm A6 size card with a silk finish. 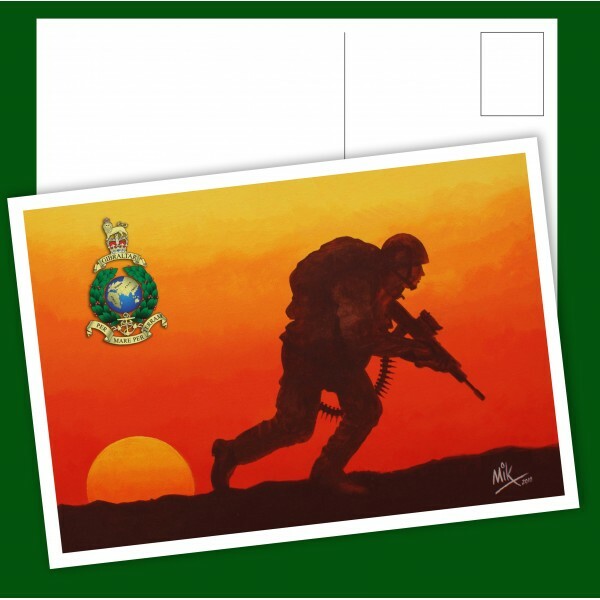 This post card has been created from an original painting of a Royal Marines Commando Patrol in Afghanistan by Mike James. The original was painted in acrylics onto canvas and is printed onto a 350gsm silk finish post card. 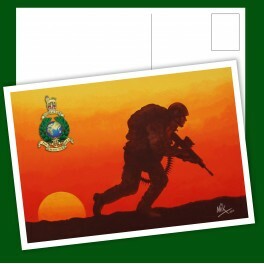 Keep in touch with loved ones and friends with this unique full colour military post card.